‘There have been some significant change already,’ Mr Malone says. ‘Smart technology has played an important role in enabling that change. There is a whole set of new opportunities to make a difference to our core infrastructure, enabling us to focus on the customer in a more granular and targeted way,’ he adds. 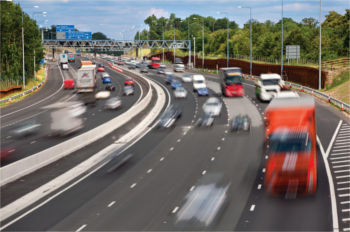 ‘This all starts with understanding the customer – for example road users, and the communities which are connected by the strategic road network. The importance of customer insight and customer-centric thinking should not be underestimated. 'When we combine this with the digital twin (an exact digital replica inter-connected with the physical asset) we create the opportunity for both transport professionals and customers to make informed decisions, which help people and goods get to their destinations safely, and have better journeys. ‘For example, operators can think about how to optimise the network over time, adapting to different scenarios, and use the increased level and quality of data to facilitate better decision-making, both in planning and operation. 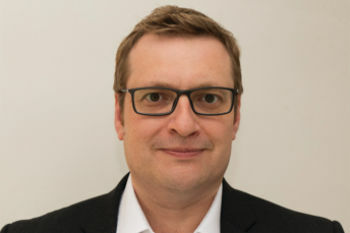 ‘Of course, safety remains the number one priority at all times but creating a network that is efficient and effective and having the ability to use technology to optimise different outcomes based on the constraints of a scheme is also vital as our road network changes, and concepts like CAV become more of a reality,’ he adds. WSP is exploring how virtual reality could be used in a project to ‘test drive’ smart motorway schemes. For example, a panel of lorry drivers could help as part of an early stage of customer insight around this work. Using a virtual simulation of the new smart motorway section created from the digital twin, the simulation might test how the flow of autonomous HGVs merging from the slip road with traffic on a planned smart motorway will work. In this scenario the drivers connect their next generation games console and virtual reality headset and open the simulation. Inside the virtual world they drive an exact replica of their truck (the inside of the cab was even 3D scanned to make the model feel realistic). As they drive, the simulation introduces other traffic, including autonomous HGVs merging from the new road. Created from the digital twin, the simulation provides an exact mirror of what the new road and upgraded smart motorway will look like. The console and VR headset monitor every aspect of the participant’s driving, including their reaction to other vehicles and the road. Their eye movements, heart rate, and driving responses are all tracked. This rich source of data will be merged back into the digital twin and will help to iron out any usability issues in the next stage of the highway design. ‘Virtual reality has a very important role to play in this sector,’ says Mr Malone. Another WSP concept is to explore how customers can benefit from connected infrastructure. In one scenario road users could register to trial a new online system through a smart phone app providing rich journey information for planners to use in optimising the network. Aggregated with other sources of data and harnessing the power of digital twin technology, this tool could offer additional customer insight with the potential to unlock new opportunities for the management and use of the network. For example a planner could utilise a range of simulations in the digital model and identify options which they would test to help improve the user’s journey each day. These might include changing the timing of traffic signals on other surrounding roads and, for example, slowing the traffic slightly on smart motorway sections to improve junction flows and the roads leading from slip roads. The goal is to use new technologies to create efficiencies in delivery and most importantly better journeys for customers.